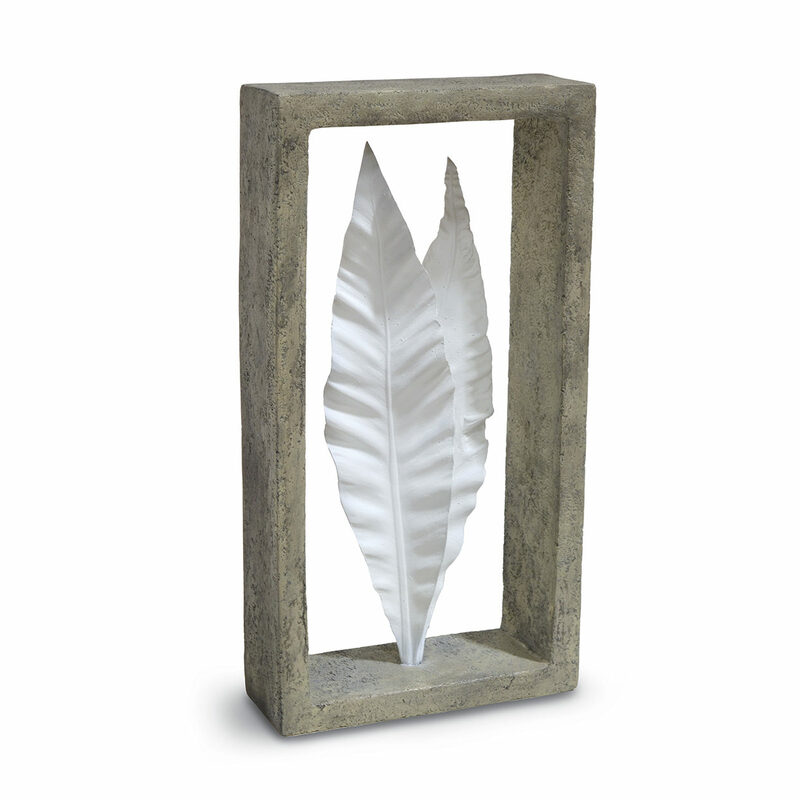 Stonecast frame in cement grey finish featuring white faux dracaena leaves. Use on the wall or as a table top decor. 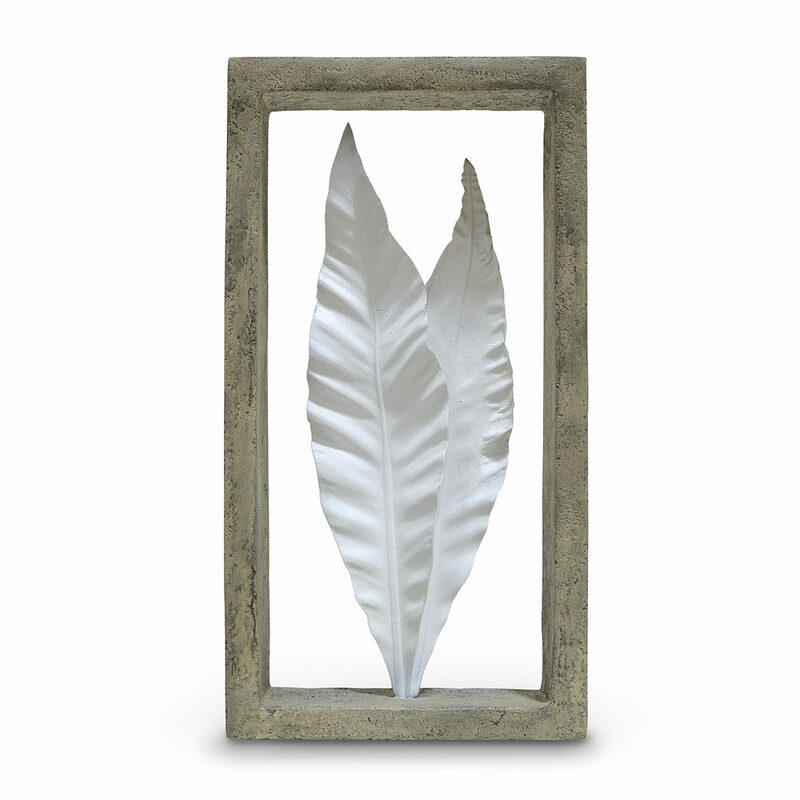 Wall decor comes with keyhole hangers for mounting.